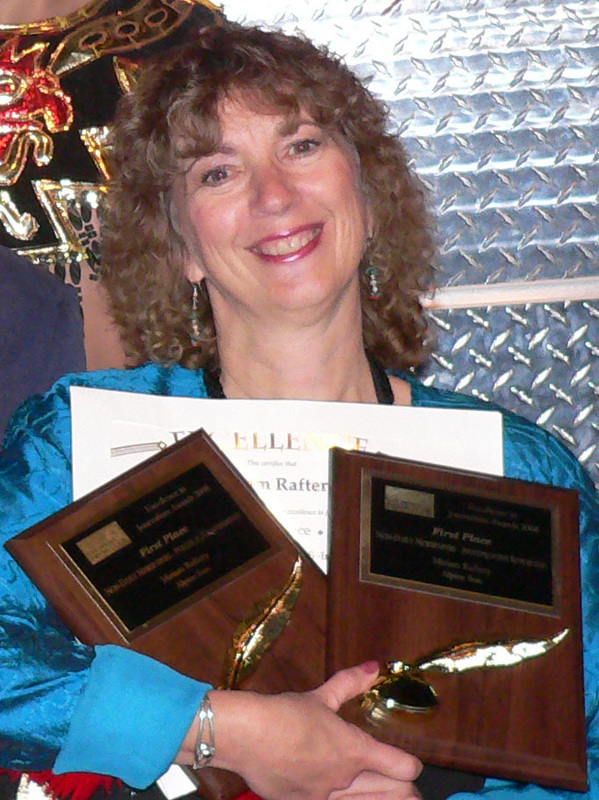 Miriam Raftery has received over 200 individual writing awards from national and local writing organizations, including prestigious prizes and monetary awards. 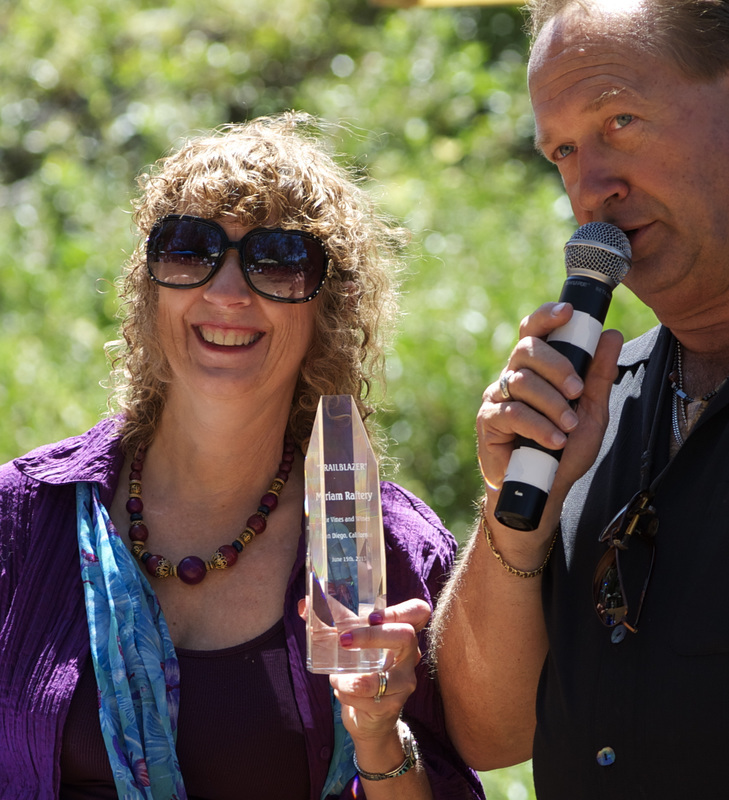 Under her leadership, East County Magazine has won 80 major journalism awards. Society of Professional Journalists, San Diego 2016: First Amendment Award (series on County efforts to suppress free speech), 1st place, multicultural reporting (“East County Chaldeans plea for release of Iraqi Christians detained at Otay”), 2nd place, governmental story ("Soitec backers host fundraiser for Roberts--after Roberts cast vote for Soitec”), Honorable mention, news series (“Ambulance response times in our region raise alarms”), Honorable mention, multicultural story (“Rise in violent anti-Semitic attacks worldwide raises alarm”), all published in East County Magazine. Society of Professional Journalists, San Diego 2015: 2nd place, news or feature series/audio (“Local Iraqi leaders speak out to halt genocide” on the East County Magazine Radio Show on KNSJ), 2nd place, talk/interview story/audio (“Anguish hits home for local Kurdish woman” on the East County Magazine Radio Show), and 2nd place, investigative/enterprise story (“SOITEC fails to disclose truths about solar impacts” on East County Magazine. Society of Professional Journalists San Diego 2014: James Julian Award, a monetary prize for community service (“Why is County Veterans Services ignoring rural vets?”); 1st place, radio talk/interview (“Draining Lake Morena” on the East County Magazine Radio Show); 1st place investigative/enterprise story (“What’s polluting waterways in Ocotillo?”; 1st place editorial (“An ill wind blowing”), 2nd place radio special report and breaking news, both for wildfire reporting; honorable mention in education and environmental. San Diego Press Club 2014: 1st place, radio, specialty reporting (“Out of the Ashes: Cedar Fire Anniversary” aired on the East County Magazine Radio Show), 1st place, integrated media (“A hearty recovery:”), 2nd place, environmental and consumer advocacy; 3rd place, investigative reporting, criminal justice, and political/governmental. Society of Professional Journalists San Diego 2013: Sol Price Award for Responsible Journalism and the James Julian Memorial Award for community service story, both monetary prizes, both awarded for reports on negative impacts of a wind project; 2nd place and honorable mention, editorials; honorable mention, environmental reporting. San Diego Press Club 2013: 1st place, multicultural (Native American issues), 2nd place, investigative reporting, features, general news, series and editorial; 3rd place, breaking news and general news. World Council for Nature 2013: International award for environmental coverage (East County Magazine). Maness Vineyards Trailblazers Award 2013: For coverage of our region’s wine industry. Society of Professional Journalists San Diego 2012: James Julian Memorial Award for best community service series (“FEMA refund demand sparks firestorm of controversy”); 2nd place, environmental reporting; honorable mention, daily news reporting. San Diego Press Club 2012: 1st place, general news (bighorn sheep threatened by wind project), 1st place, public service/advocacy (energy projects’ impacts on Jacumba); 1st place, public service/consumer advocacy, 2nd place in investigative reporting, general interest website entry, multicultural, and series; 3rd place editorial and feature stories. San Diego Press Club 2011: 1st place, investigative reporting (series), 1st place, series (“Bridging Worlds”), 1st place, multicultural, 2nd place, education, 3rd place (investigative reporting (single report), 3rd place, travel, 3rd place, public service/consumer advocacy. San Diego Press Club 2010: 1st place, series (earthquake coverage); 1st place, political and government, 1st place, public service/consumer advocacy, 1st and 2nd place, multicultural, 2nd place, investigative reporting, 2nd place, history, 3rd place, breaking news, 3rd place, criminal justice. San Diego Press Club 2009: Daily Newspapers and Websites—1st place, General Interest Websites, and 2nd place, News Sites (www.eastcountymagazine.org) 1stand 2nd place, Political/Government Reporting 2nd and 3rd Place, Public Service/Consumer, 3rd Place, Investigative Reporting 2nd Place, Multicultural 2nd Place, Essay/Commentary 2nd Place Travel, 2nd place, Wild Card Category: Regional Economic Budget Crisis. San Diego Press Club 2008: Best investigative reporting and best political reporting, non-daily newspapers (1st Place); 3rd place in best investigative reporting, daily newspapers and websites; 2nd place, non-daily newspapers, general news. San Diego Press Club 2006: Best of Show (“Changing face of East County” series), Best political reporting, best investigative reporting, best series for a non-daily newspaper. American Society of Journalists and Authors 2006 Arlene Award: National monetary award ($1,000) for articles that make a difference in a community (“Monkey Business” investigative report led to a ban in California on certain electronic voting machines). 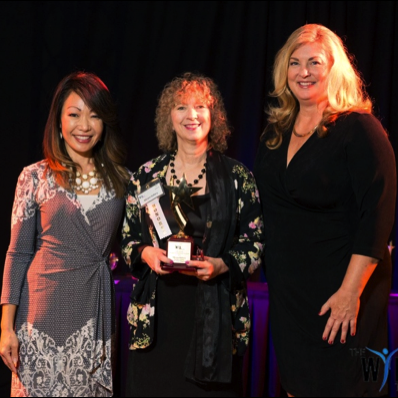 California Press Women: Five 1st place awards for news and feature articles in the 1990s, including impacts of the Gulf War and real estate topics, as well as the 1993 Darla Carson 110% award for dedication to CPW (including organizing a statewide conference). National Federation of Press Women: 2nd and 3rd place for news articles and newspaper columns in the 1990s. San Diego Book Awards 1997: 3rd place, historical novels, Apollo’s Fault . Romance Writers of America Golden Heart competition: 3-time national finalist for unpublished novelists; also won numerous local and regional writing competitions. International Raymond Chandler Writing Competition 1993: 3rd place, fictional short story in the style of Raymond Chandler.